The time has come for my own personal list! 2015 was easily one of the toughest years to rank in recent memory but it was a lot of fun given the broad spectrum of games. Let me know how much you love (or hate) my decisions below! Tune in tomorrow at 10:00 AM (CST) for Kris's list! That number 1 tho. That surprised me. Very interesting list. I have to agree with Mgs2. Number one really surprised me. I'm glad you enjoyed it, Nick! I also own Mad Max and haven't touched it yet. I need to correct that soon. Was not expecting most of the entries on this list, the exception being number 3 but I didn't expect it to be that high on your list. 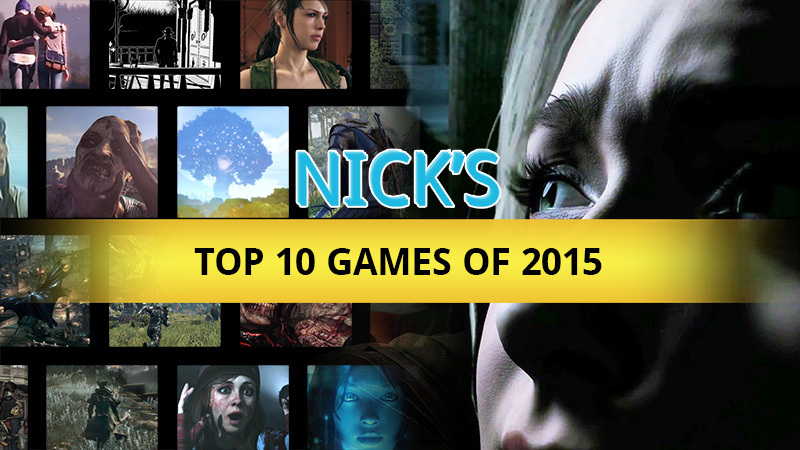 Pleasantly surprised by this top 10 so a big thumbs up for that.